​When dealing with damp floors and humid conditions, mold is a serious concern for most homeowners. It is relatively sneaky, multiplying where it cannot be seen – and when it is found, it often becomes a huge problem for even the most seasoned of cleaners. The trouble with mold is that, while it is possible to contain it, it is also very easy to spread it in an attempt to solve the problem. While mold can be killed, more likely, with DIY remedies, you are usually only creating a bigger problem for yourself. What if you learned, though, that there is something potentially more insidious than mold? Mildew is very similar to mold in many regards. Firstly, they are both fungi. However, mold and mildew grow in different patterns, leaving the exact shape of the fungi up to the type of mold you are dealing with. Mildew and mold can be identified with their distinctive colors, and they are both able to be distinguished by a rather pungent smell. While mold is dark and black, mildew is typically gray or white. Moreover, while mold spores are small, mildew is much larger and tends to take up more surface area in general. Consider this: mildew is mold, but not all mold is mildew. Sounds confusing, right? The easiest way to deal with both mold and mildew is simply to keep all areas free of moisture. However, when dealing with pets, or children, or simply more than one person, this can often be unrealistic. Combine that with potentially living in a humid area, and there’s the chance you have a recipe for disaster on your hands. 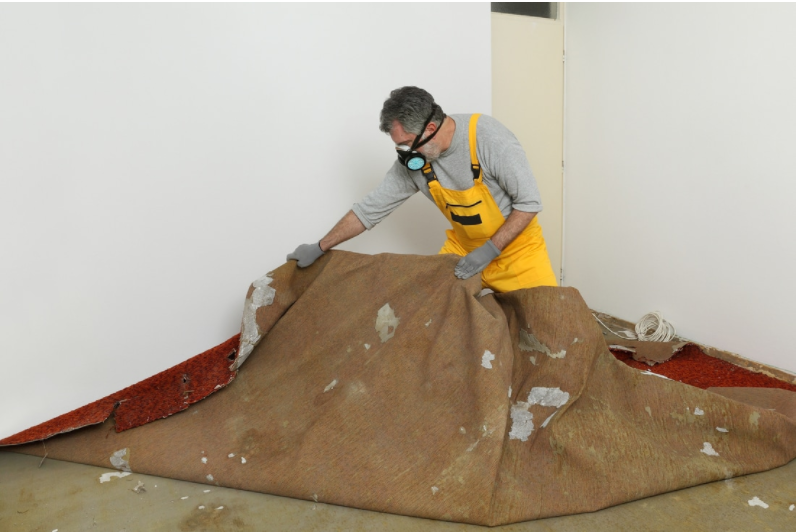 Spills have to be cleaned with the utmost care, especially when seeping into your carpet. How can you be sure you have gotten up every last bit of moisture from beneath the thick fibers? The short answer is: You cannot, and any moisture trapped beneath your carpet could be a thriving playground for fungus and bacteria. That does not mean that there’s reason for you to panic! Mildew and mold can both be taken care of by the expert technicians at Carpet Cleaning Smithtown and do not stand a chance against our state of the art equipment and cleaning solutions we use when on the job. We have dedicated our work to ensuring that your carpets are clean and fresh by the time our work is done, and that includes banishing any lingering fungi or bacteria that may be lurking in your carpet fibers. Mold and mildew are known for putting up a fight that seems impossible for you to win, so don’t resort to potentially dangerous DIY methods to clean your carpets. When it is time to battle this situation with the big guns, you need to call somebody who actually has the big guns. With years of experience on our side, we have developed the finest, most efficient techniques to ensure that your home is clean – and stays that way. Ready to show your stubborn mildew who’s boss? Give us a call today!